Nautical by Nature: Dubrovnik, Croatia! Wow, how pretty! 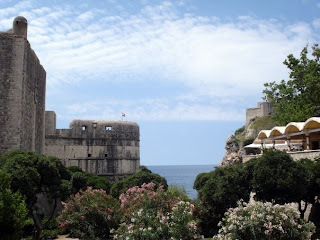 I have always wanted to visit there... my grandmother was Croatian and came to the US from what is now Croatia! seriously- how did you not come up with a way that you "had" to stay over there?! just gorgie! that's gorgeous!! I've always wanted to go there, it looks so beautiful. Pretty! My brother (Lives in Bosnia/works with US State Dept) was there over July 4th weekend and I loved his pics, too! So gorgeous! I wish I could grab my passport and hop on a plane immediately! My husband and I have friends that are from Croatia. They spend most of their time in the U.S now though. My husband has been there and said it is beautiful. Maybe I will get to go someday and our friends can give us the grand tour. Beautiful pictures! Especially the last one. 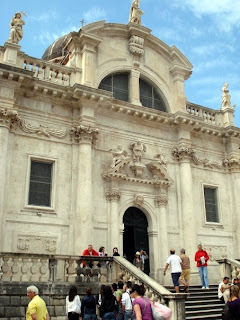 These pics make when want to visit Croatia so much. Not a comment about your post, but I saw these on Overstock.com...they look to be up your alley! What beautiful pictures! I have now added Croatia to my must visit list. Great blog, thanks for sharing! 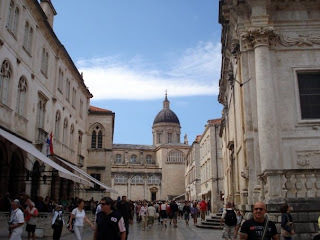 Stopping by from Iva's blog... beautiful city!! The artistry in the second photo is just amazing. What a beautiful place. family from my father's side are from Croatia! thanks for the sweet comment on my cooler post. i drew the little whales with sharpie, but man did it take forever to make them look just right! SO PRETTY! Thanks for sharing Kate, and I can't wait to see the gift! I had no idea Croatia was so beautiful.